Ken Phillips, of Lancaster Country Club, was elected President of the Pennsylvania Golf Association at its 2017 fall meeting. He has served as a volunteer since 2008 and Executive Committee member since 2010. Phillips grew up caddying and working in the pro shop and golf course at Lancaster Country Club. His brother Wayne has been the head professional at Lehigh Country Club for the past 30 years. Golf is certainly in the family! Ken is a Managing Director with RBC Capital Markets having served the municipal industry for 37 years. It is truly an honor and privilege to serve as the President of the Pennsylvania Golf Association and continue to give back to the game we all love. With the major sponsorship of Lake Erie College of Osteopathic Medicine (LECOM), Schools of Pharmacy and Dental Medicine, and also support from UPMC Pinnacle, our continuing mission is to provide quality events for our members to compete in and grow the game. 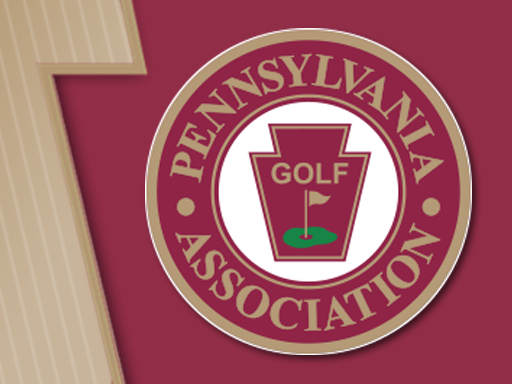 The 2018 season will be an important year for all golfers in Pennsylvania as the PA Golf Association and the Pennsylvania State Women’s Golf Association begin down the path of forming a relationship that will only strengthen the game in PA. In 2013, in collaboration with PSWGA, we formed a Girls division in the Boys Junior Championship. The goal was to promote additional opportunities for female junior golfers in PA by bringing both the Boys and Girls Championships to one venue, the Hershey Country Club. With our continued success since 2013 it is now time to focus on further relationships with the PSWGA. In 2018 we will begin assisting on administrative duties, providing officials and volunteers at their major championships and continuing discussion on future joint programs and tournaments. We are excited for all golfers in Pennsylvania! Our goal at PAGA is to conduct first-class events at top quality venues. Next year is no exception with Sunnehanna Country Club (105th Amateur), site of the prestigious Sunnehanna Amateur, Lancaster Country Club (102nd Open), site of the 2015 U.S. Women’s Open, Saucon Valley Country Club’s Weyhill Course (25th Middle-Amateur), Philadelphia Cricket Club’s Militia Course (59th Senior Amateur), and Lehigh Country Club (26th Senior Four-Ball). Additionally, we’ll visit Country Club of York (78th Dressler), LedgeRock Golf Club (12th Senior Match Play), Omni Bedford Springs Resort (29th Four-Ball), Hershey Country Club (2018 Junior Boys’ & Girls’), Schuylkill Country Club (15th R. Jay Sigel Match Play), Chester Valley Golf Club (9th Father & Son), and Centre Hills Country Club (14th Art Wall). Thanks to all the clubs throughout the Commonwealth that graciously allow the Association to use their facilities for our championships and qualifiers. We are so fortunate to have great partnerships. I would like to thank all of the volunteers (150+) along with our leadership (Cory Reighard and Mark Peterson) and the Executive Committee for the constant dedication to the Commonwealth’s golfing community. Our events are top-notch and we will strive every year to improve upon the experience for our participants. On a closing note, thanks to all of you who support and play in our events. If you are considering entering a tournament for the first time, make 2018 that year! Come and experience a professionally-run championship, strong competition and form new friendships, because that is what golf is all about! All the best for 2018 and hope to meet you at one of our championships!